The young and talented ‘Yaqeen Ka Safar’ actor Ahad Raza Mir never fails to surprise us with his acting skills. 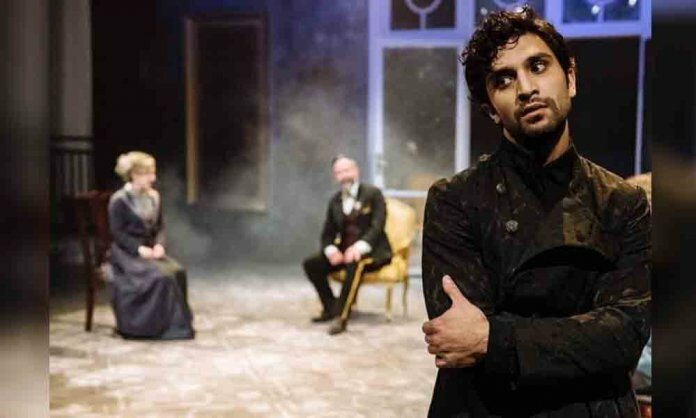 After stunning us with his singing debut in the last season of Coke Studio, this 24-year-old hunk recently played the role of Hamlet in Vertigo Theatre’s Hamlet: A Ghost Story. The actor also shared the first look of his exciting venture and we totally fell in love with it. A number of pictures from his play are currently doing all rounds on social media where we can see a devilish and dangerous quality on his character. Yaaaaarrrr these pics are testing my patience. Ahas Raza Mir as Hamlet – A ghost story. His performance was absolutely loved by everyone and people just cannot stop praising him. However, there were a number of Indians as well who adored Ahad Raza Mir for his performance and seems like they just cannot get enough of them. And that's @ahadrazamir .The ONLY ONE of his kind.This looks magnificient. This is not the first time that a Pakistani celebrity is being praised by the Indians. Our actors and singers are always adored by them and have been going all crazy about for them.